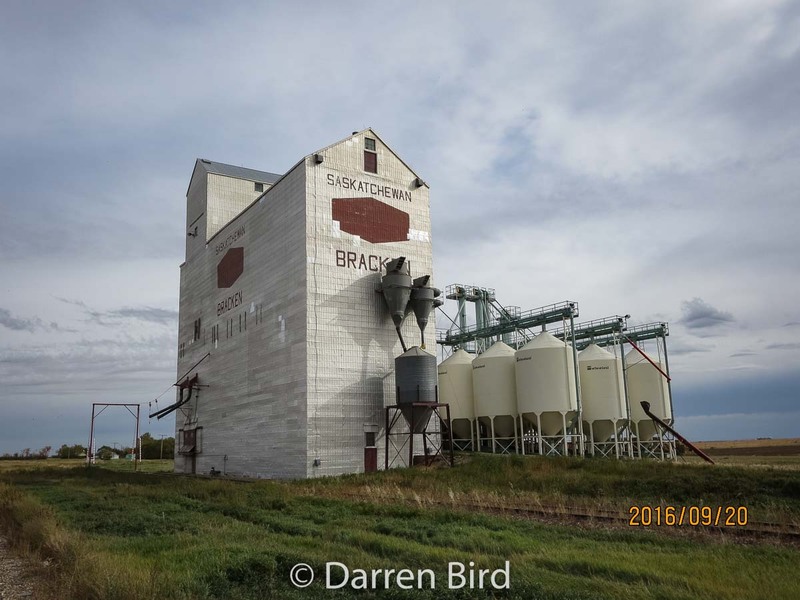 Bracken, SK grain elevator. Contributed by Darren Bird. 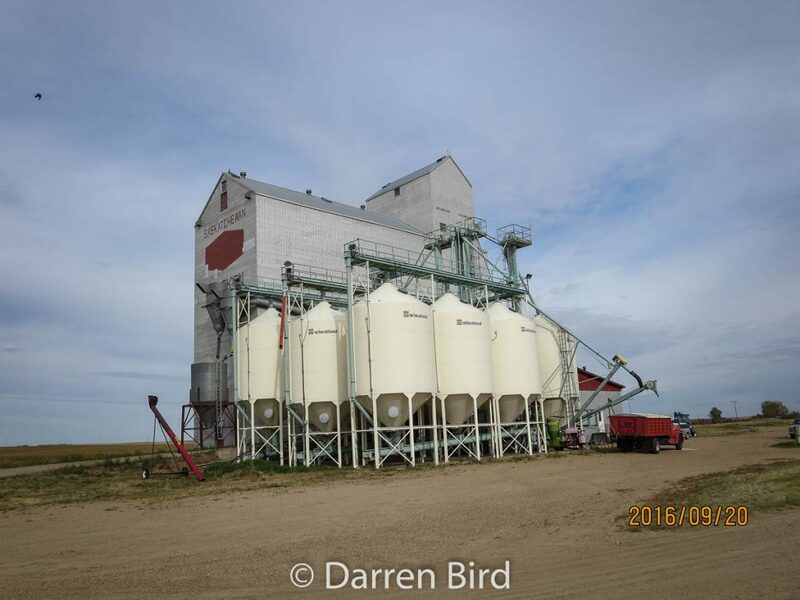 The grain elevator in Bracken, SK is a former Saskatchewan Wheat Pool elevator built in 1976. The elevator and office has a 10 car capacity rail siding, with a seed cleaning plant attached. 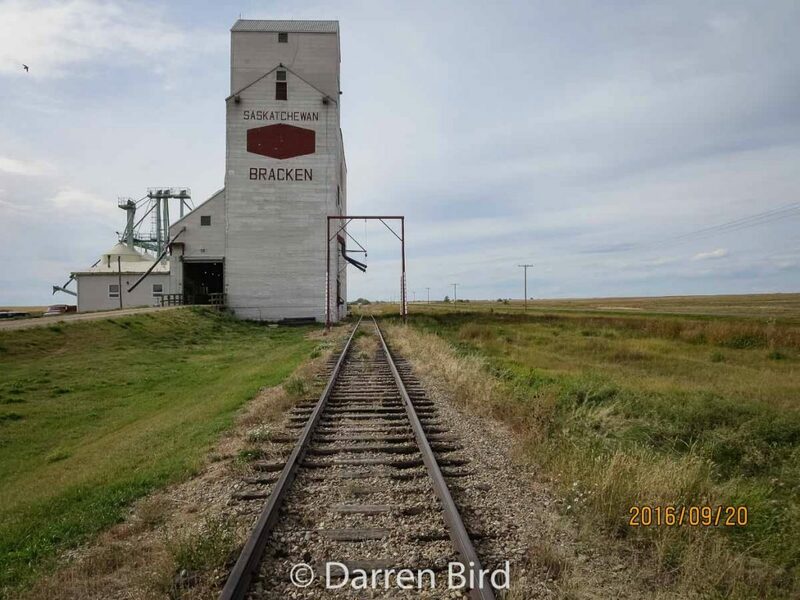 The elevator is located on the Shaunavon portion of the Great Western Railway line and it is the last stop on this line. The closest access to a national railway line is the Canadian Pacific Railway spur at Assiniboia. Grain elevator in Bracken, SK. Contributed by Darren Bird. The building is owned and operated by White Water Coulee Cleaners. They operate a seed cleaning plant from the facility.